Turn back the time two weeks and I could be found wandering the streets of Montreal. It was so wonderful to spend a couple of days in one of my top 3 cities and today I want to share my trip experience. 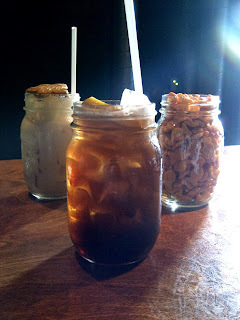 If you have ever read one of my travel posts, you would know that I usually document my days through food and drinks. Let's get started with this Montreal travel edition. I arrived the city almost two hours behind schedule and somehow still managed to process my paperwork, check into my hotel, and then make a coffee break with a friend that I had scheduled following my original itinerary. 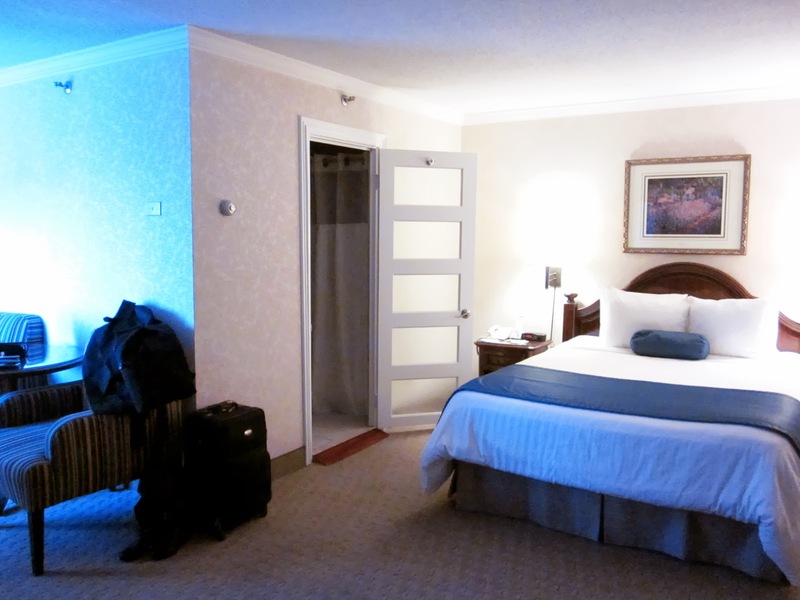 I stayed at the Best Western Ville Marie in downtown Montreal. Although dimly-lit with air-conditioning on the strong side, I love how the room was decorated with Monet prints. The bathroom door is a mix of solid and frosted strips, so if you stay with an acquaintance, I imagine it may be a slightly awkward experience. This is my second stay at this hotel and I found it pleasant overall, although I wish they would provide liquid handsoap instead of bar soaps. After catching up and replenished with a london fog and a cookie to make up for my missed lunch, I managed to squeeze in a haircut (chopped off 8 inches! ), some shopping, and a trip back to the hotel in the two hours break until my dinner appointment. I met up with a friend whom I saw a few weeks earlier in London while she was backpacking through Europe with another mutual friend. I hope I get a chance to live the backpacking experience in the near future. 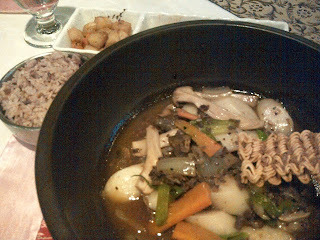 We had dinner at the Korean restaurant Atti and the Gunjung Tteokbokki I ordered was filling and delicious. 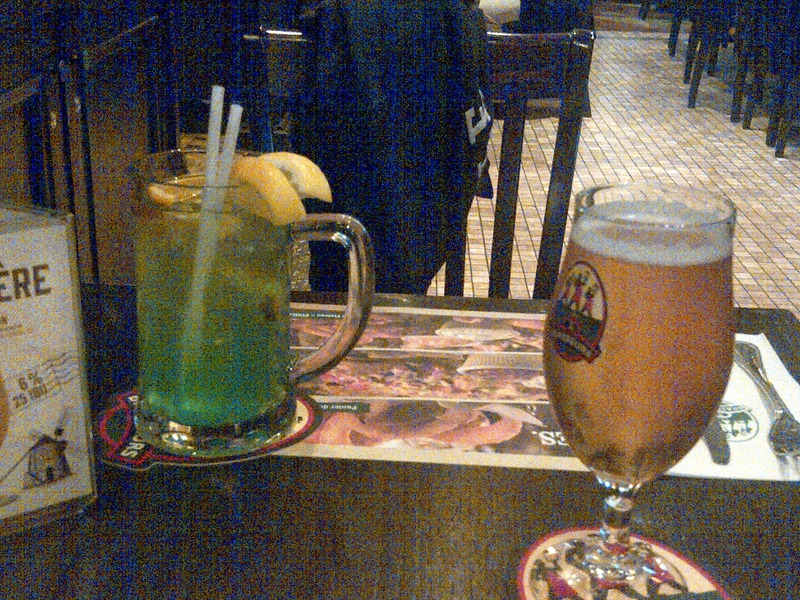 Two hours later, I met up with another friend for some drinks at Les 3 Brasseurs. 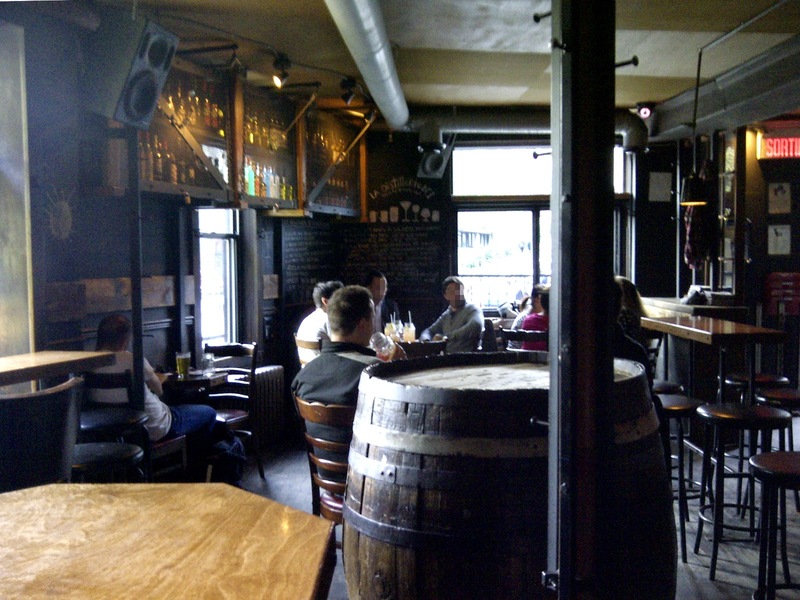 The half pint of La Meuniere and the shared poutine was fantastic. 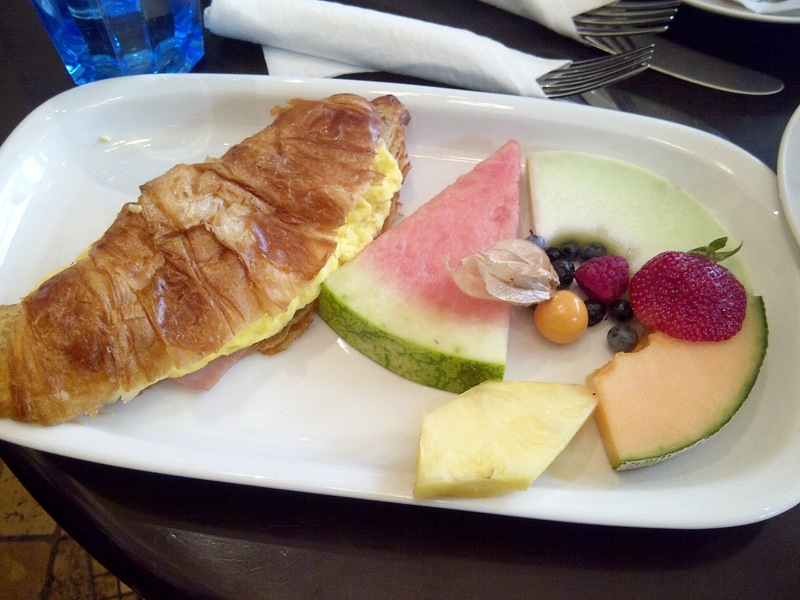 Next morning, I met up with an acquaintance for brunch at Universel. Unfortunately the french toast here wasn't nearly as pleasant as it was back in the days. 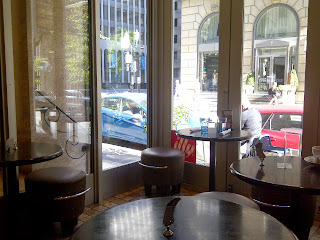 I am also a fan of their salads, and it is too bad that I didn't have the time to try it out this time. 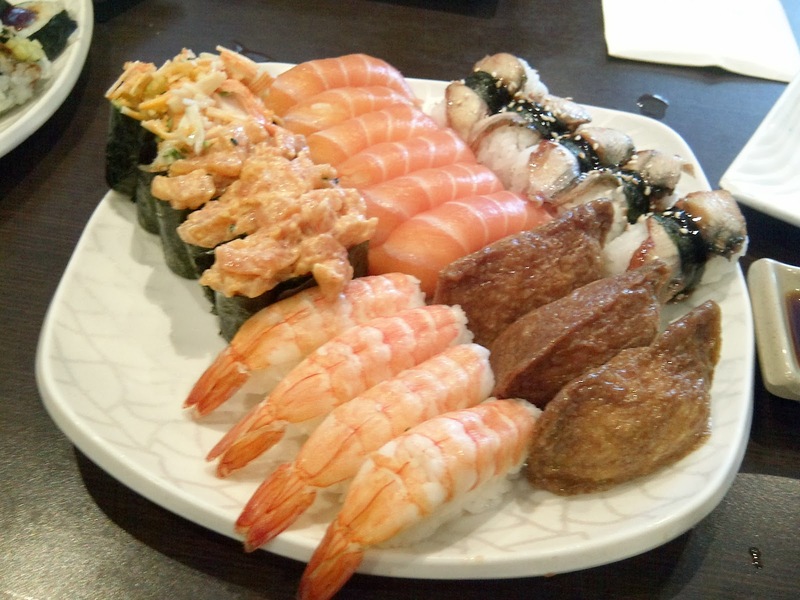 Lunch involved sushi buffet at Tokyo Sushi. 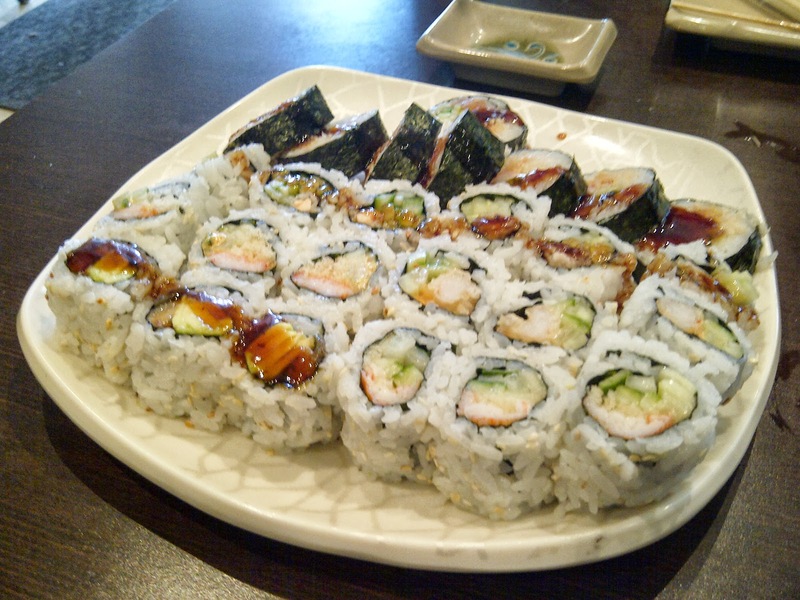 I don't eat much raw fish, but between good conversation and the occasional dish off the grill, I was set to go. A very early happy hour at La Distillerie as we were out by 5:30pm. 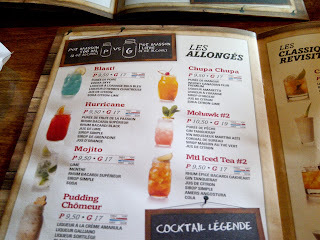 This bar specializes in cocktails and it is my favorite place for mixed drinks in Montreal. 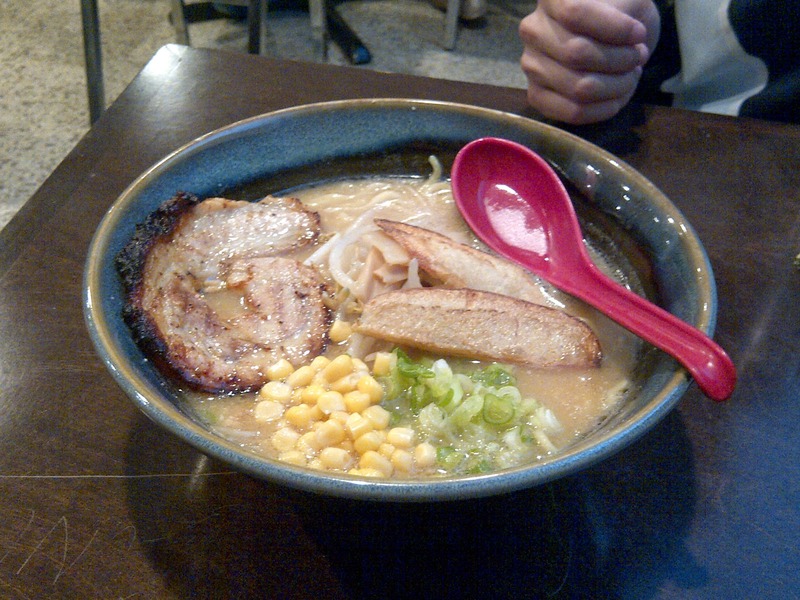 It is very popular among locals and there is always a queue by early evening. Took a walk to Old Port and I ended the day at Yeh! frozen yogurt to celebrate the last bit of a friend's birthday. 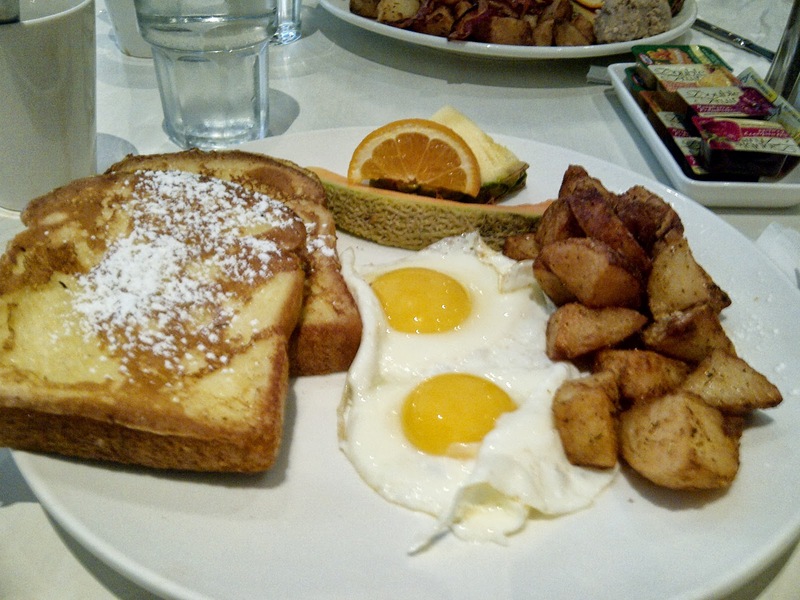 My third day in Montreal started with breakfast at Ben & Florentine, which is my absolute favorite brunch/breakfast place anywhere in the world. The home fries that comes with the order is simply the best I have ever had. The quality is always consistent. 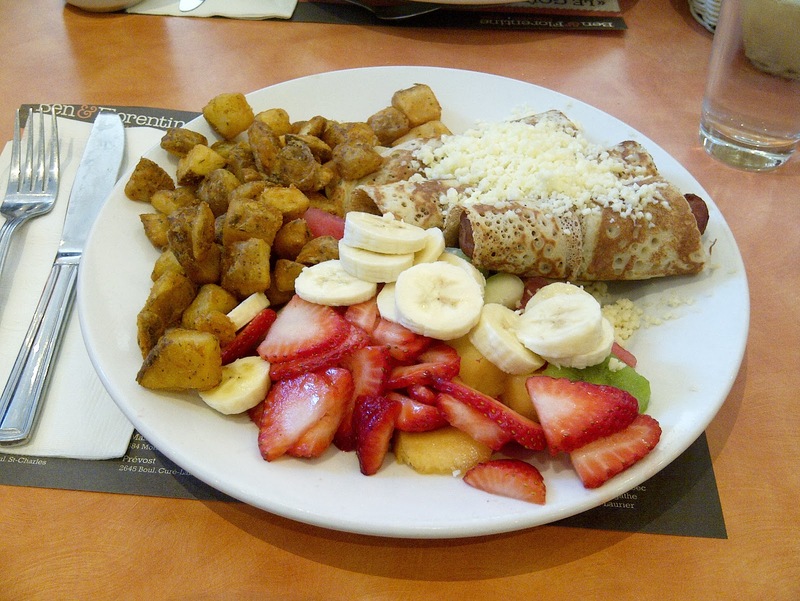 I am especially fond of the Three Musketeers, which features three crepe-wrapped sausages. Delicious! 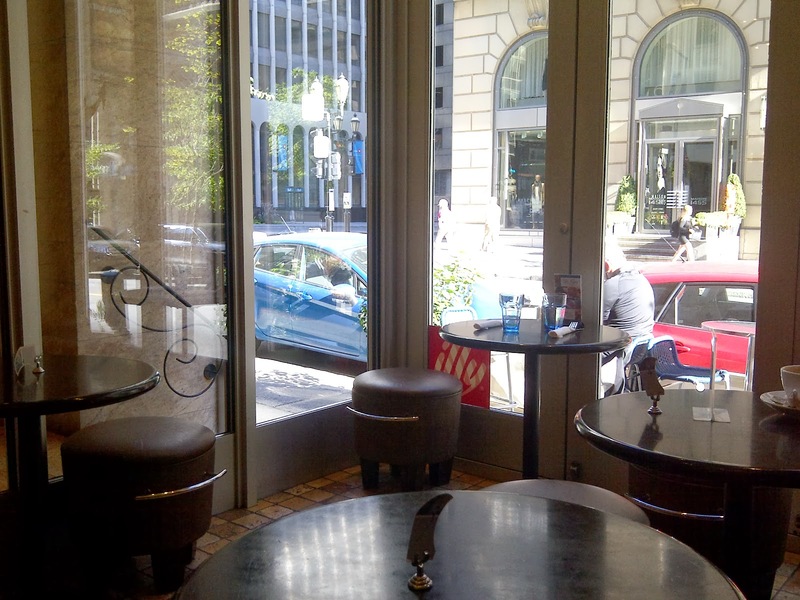 L'Avenue is a close-second as far as brunch restaurants go, but alas, it was a bit far from downtown. 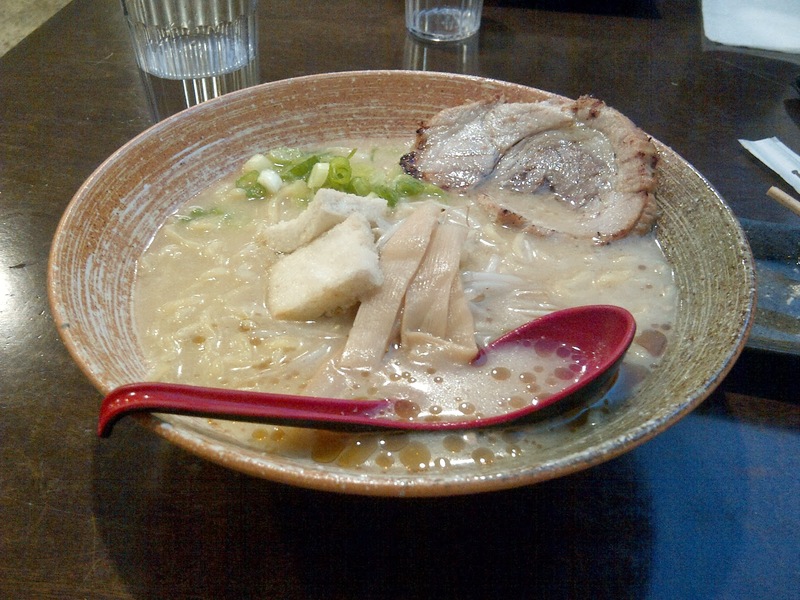 For lunch, I checked out a ramen restaurant that opened at the end of 2012. 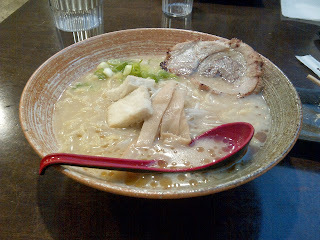 My party ordered one of the Shiro Miso and another of the Kome Miso, which were the only two broth options available. We went basic without ordering any extras, and while the dishes were good, I generally prefer a different texture for the noodles. We also received two side orders of tofu that came with the lunch special. 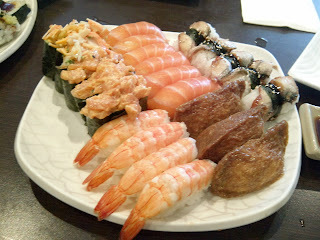 However, the service was extremely slow and what was supposed to be a quick lunch turned into an hour and half affair. The servers were friendly, but were quite forgetful. We were not given menus until we asked for them, were brought the wrong order, and then waited forever for the right ones. Overall, the restaurant has potential as it serves tasty food with good portions, but it definitely needs to step up the game in their customer service. Dinner happened at Kanbai. While we ordered what seems to be overwhelmingly much for two people, surprisingly, we were able to finish most of it. The flavors pack a punch, but even if you cannot handle much spice like me, it is still a delicious dining experience. 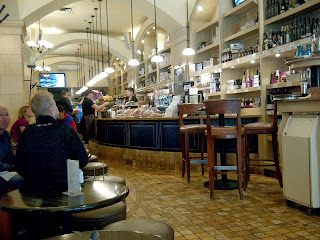 Breakfast on day 4 was at Cafe Vasco da Gama and unfortunately they forgot to heat up my croissant. 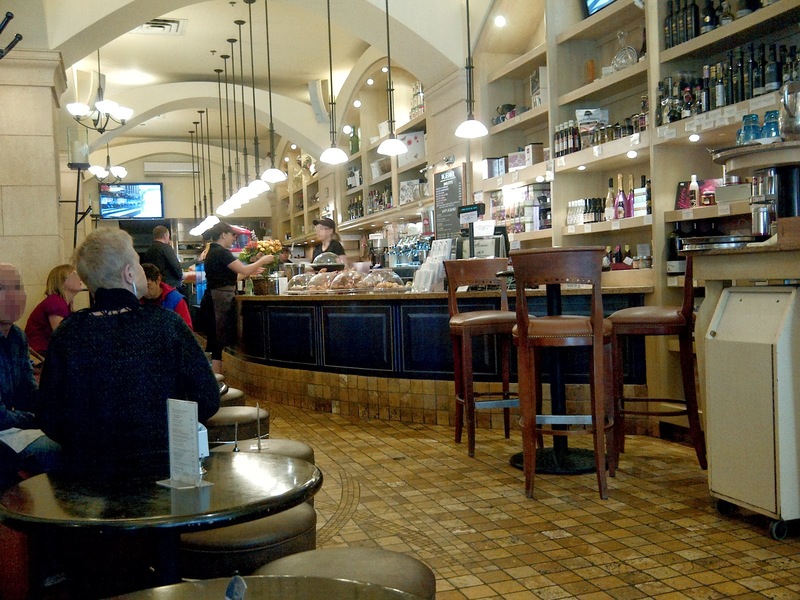 Average coffee, but good enough ambiance to pass half an hour. 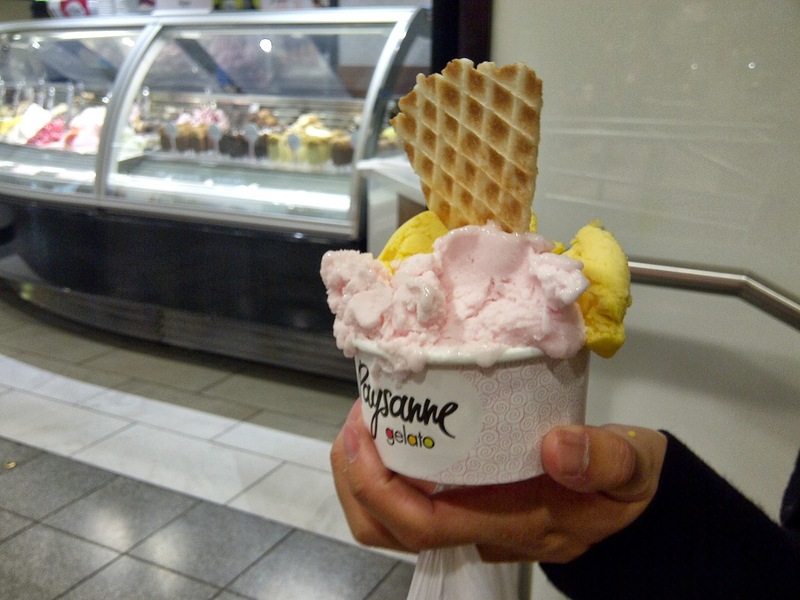 Snack time with Paysanne Gelato in the Eaton Center, both the mango and the grapefruit were good, but I definitely prefer the grapefruit flavor. 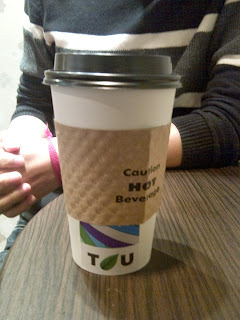 We later shared some Pumpkin Spice Latte and Green Tea Latte from a Starbucks around Old Port. 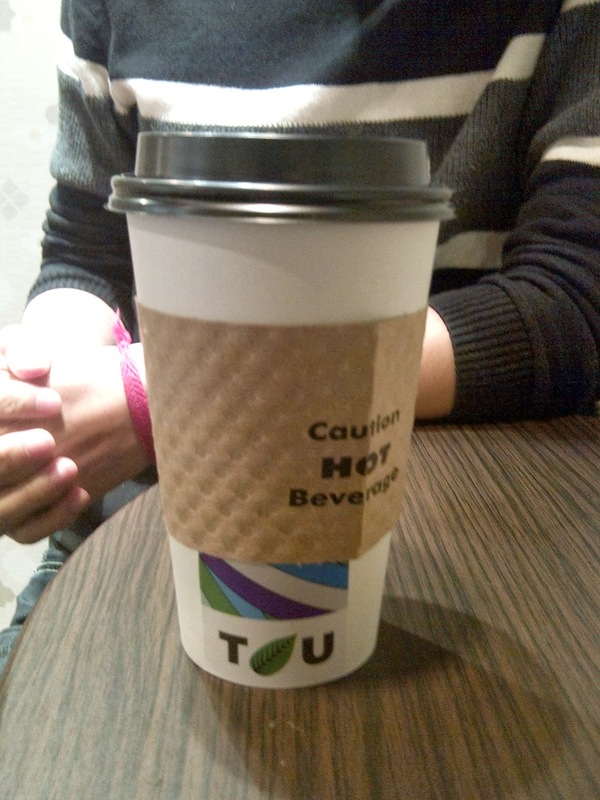 I haven't had a green tea latte in years since it is rarely available in the UK. 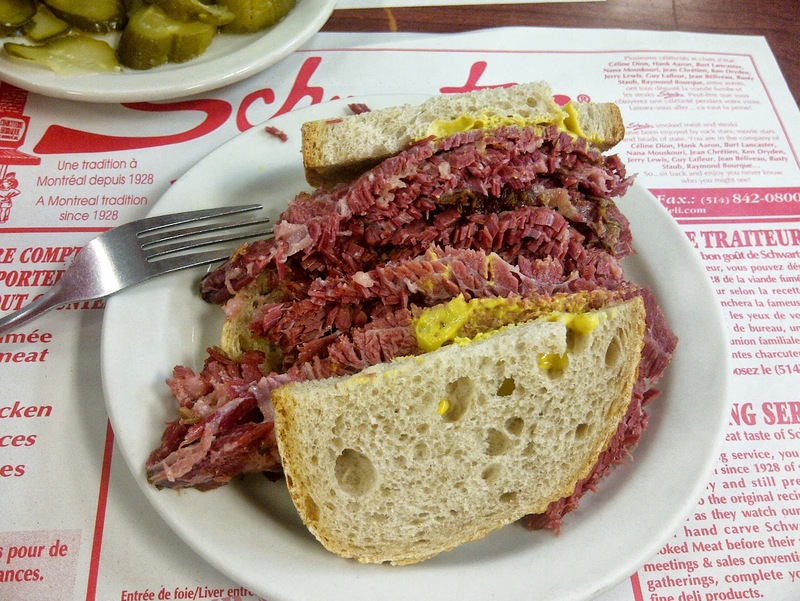 Time to hike back up St. Laurent for some late lunch at Schwartz's. 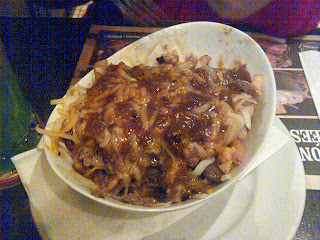 While I tend to keep meat in my diet to a minimum, I could not leave Montreal without another taste of this tradition. With a bottle of coke, I love it. 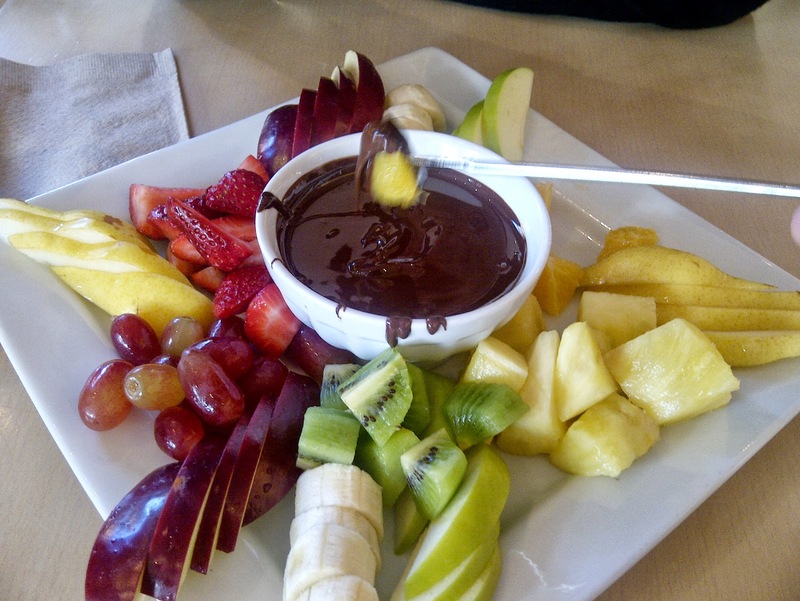 Followed-up with some chocolate fondue for two at Juliette et Chocolat. Perfect dessert. 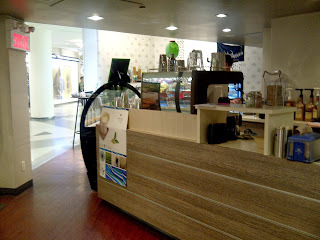 If you are looking for alternative chocolate shops in Montreal, Suite 88 and Cacao 70 are another two of my favorites. After some take-out chicken from Ramados, which serves up the best grilled chicken in my opinion, I followed up with more poutine and another half pint of a white. For my final day, I tried some version of a Matcha white chocolate from U Green T. It was too sweet and bland in all other aspects. I probably would not return on my next trip to Montreal. However, given that the cafe only opened earlier this year, it may just need some time to adjust. It was refreshing to pull out my french skills and I felt so reluctant to leave Montreal again. I cannot wait until I get a chance to return to this amazing city! Which cities could you not get enough of? 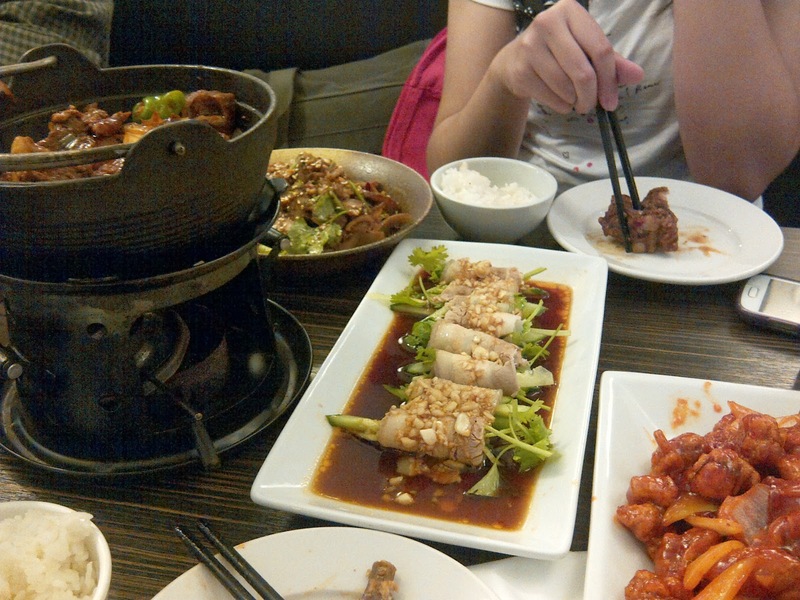 Looks like you had a relaxing trip with lots of yummy food! Do you have any recommendations for activities in Montreal? I've been there before and been wanting to go back, but there wasn't too much to do. A lot of it was historical sightseeing mainly. I used to live in Montreal, so this trip was mostly catching up with old friends. Aside from the historical sightseeing and art museums, I cannot recall any activity particular to Montreal that happens year around. For seasonal activities, I highly recommend the underground walk from downtown Eaton Center to Palais des Congres when the city hosts its annual "Art Souterrain". I find the 20 minutes walk of local modern artwork to be very intriguing and different from year to year. Nuit Blanche, Jazz festival, and Just for Laughs are always popular.